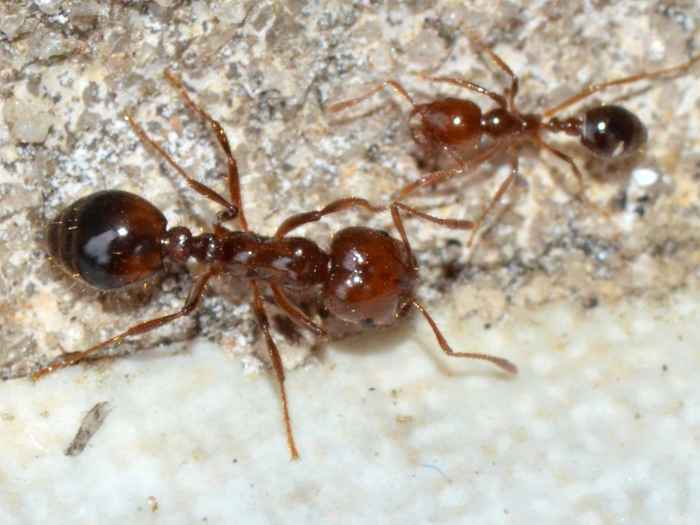 Solenopsis invicta (Red Imported Fire Ant). Size: approx. 4-8 mm. Photo: 10/18/11, 10 am. The infamous Red Fire Ant (Solenopsis invicta). It was introduced into the US from South America around 1940. 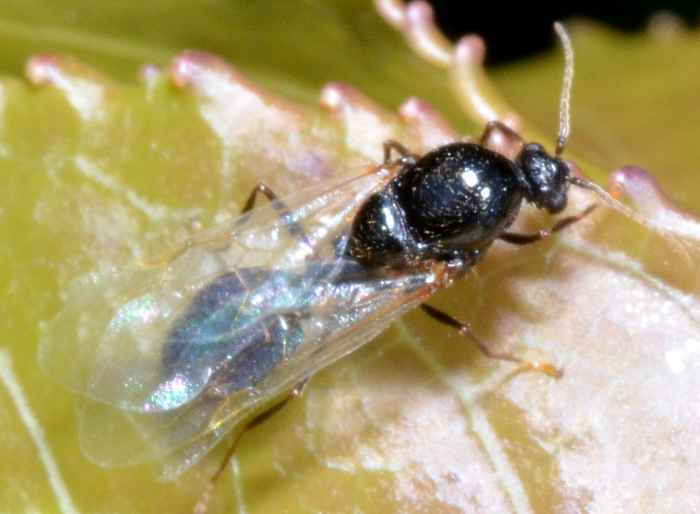 The workers protect their nest by stinging the feet and legs of the intruder. The stings cause small but very painful wounds that develop into itchy pustules. The postules can become infected. Interestingly Martineziana dutertrei is a small scarab beetle that lives in fire ant mounds. The photo below shows a winged specimen and was taken on 06/16/12 (7 pm).